Complete System! 150kg Payload - 100+ Robots Available! 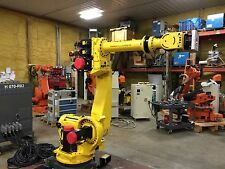 Fanuc - 6 Meter Robot 7th Axis - Linear Rail - R-2000iB - Complete! 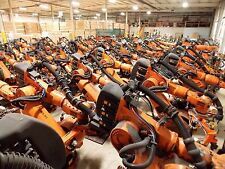 7 - FANUC R-2000iB 210F Robots w/ R30iA Controller - Complete Robotic Systems! -- FREE SHIPPING - WORLDWIDE! Fanuc R-2000iA w/ R-J3iB Controller - Complete Working System! - Priced to sell! 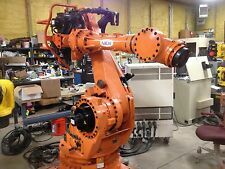 FANUC R-2000iB 210F Robot System Complete with R30iA Cabinet - Low Hours! 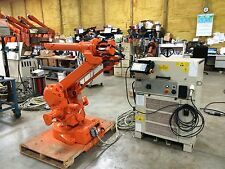 FANUC S-420iw robot with RJ2 controller, teach pendant, and cables. 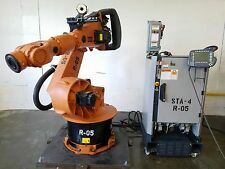 FANUC - M-900iA 350 Robot System w/ R30iA Controller 350KG - Complete System!